I am joining two amazing artists (Charlene Brown and Colleen Leduc) to put on a holiday art show/sale. 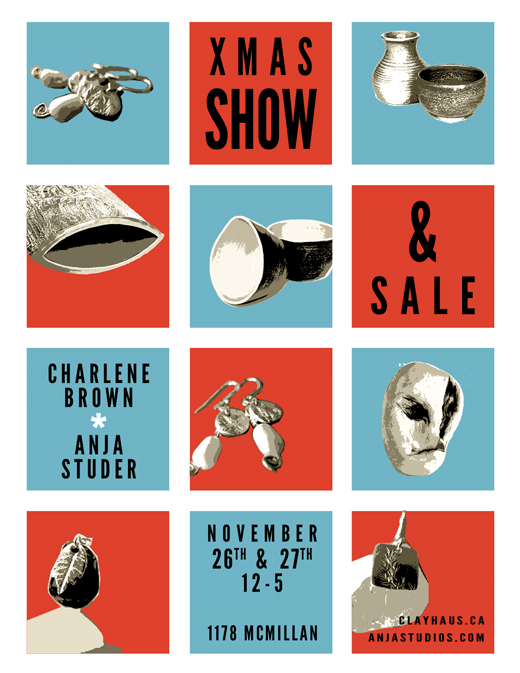 Come and join us at Clayhaus on Nov. 24 & 25 (12 to 5). A great chance to see some great local art and to get some Christmas shopping done. There will be pottery, paintings, photography, screen prints, jewelry and accessories made from recycled materials to choose from. My air necklace is now available through ethicalcommunity.com . I will continue to add more jewelry over the next few months. We all need air to breathe and to live. I have seen first hand the struggle of not getting enough air into your lungs anymore. The concept is graphic, clean and creates a nice balance between the simply graphic type and the organic shape and material of the beach glass. The square air pendant is handmade from recycled .999 fine silver and is combined with a piece of beach glass. 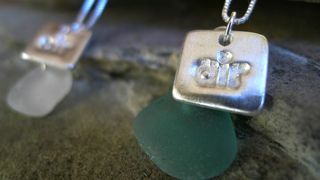 Each piece of beach glass is unique and different just like the lives effected by lung cancer. Each of my fine silver creations is individually sculpted by hand, imprinted, sanded, fired and polished creating a one-of-a-kind piece. 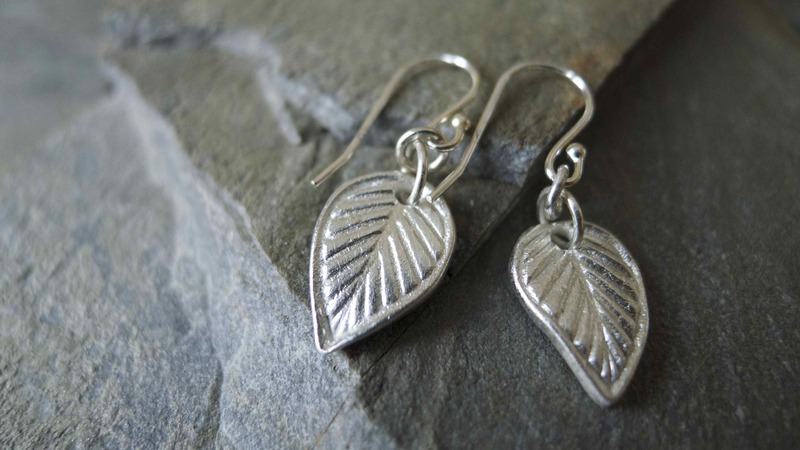 The fine silver used is made from 100% recycled silver, reclaimed from photographic and x-ray materials and combined with water and a non-toxic binder. 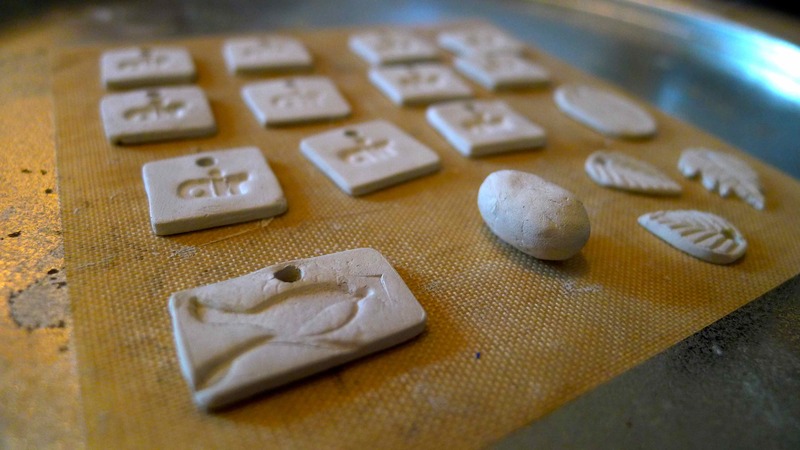 Through the firing process the clay binder and water are burned off and a strong, sparkling and eco-friendly piece of jewelry emerges. All silver scraps, shavings and dust are collected and reused to help save our planet. 100% of the profit is donated to lung cancer research. Make sure to check out the rest of the site. It’s a great resource to find out about ethical products from beauty products to food to beautiful things for your home. I spent most of the day today finishing up the jewelry I had started last week and taking care of some custom orders. 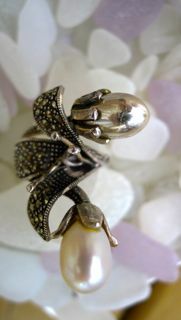 •My friend M.’s favorite ring had lost a pearl and she had asked me to see if I could fix it. 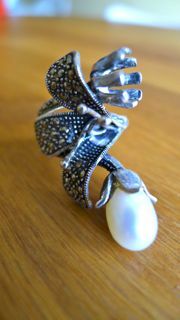 I recreated the shape of the pearl in recycled silver and placed it back into her ring. I hope she likes it! 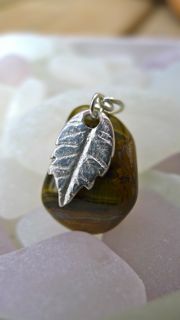 •One of my youngest customers R. had asked me to create a pendant from a piece of tiger’s eye she had. 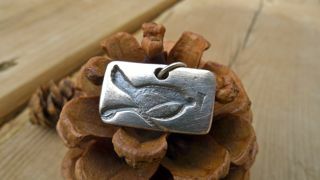 •I have been wanting to create a bird pendant for a long time. 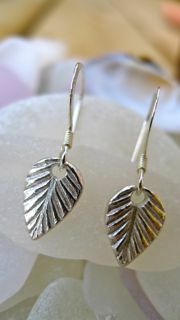 •I created another pair of simple leaf earrings. 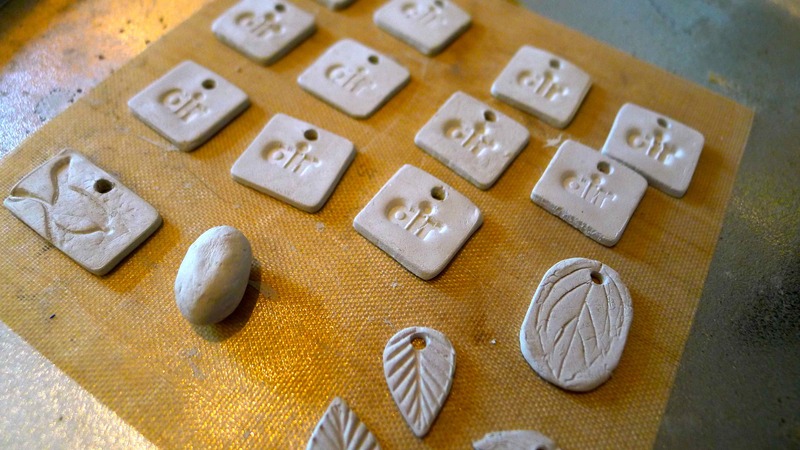 •I finished 9 air pendants so that I can fill some orders. 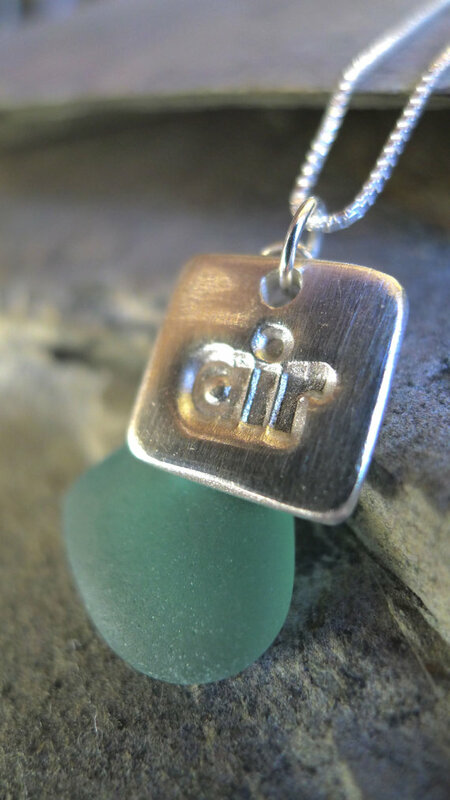 Thanks for supporting lung cancer research by purchasing an air necklace. A full and rewarding day of creating! 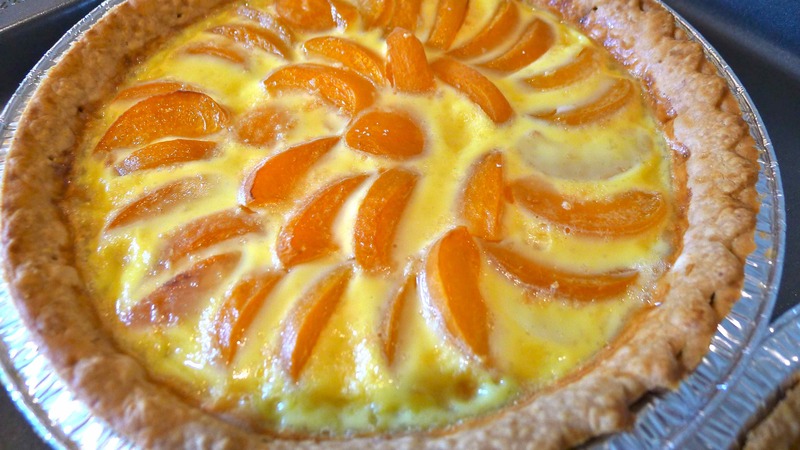 I spend the day making jewelry and more importantly Aprikosenkuchen (apricot pies). 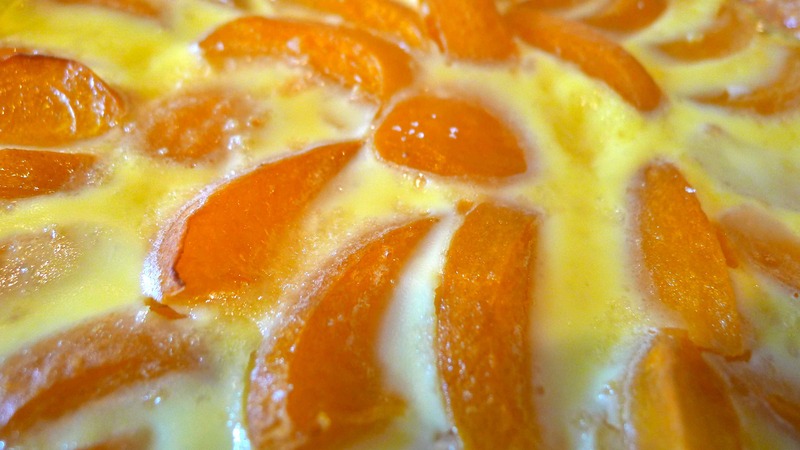 After calling my dad in Switzerland for the recipe, I got to work. I wasn’t sure how they would turn out. 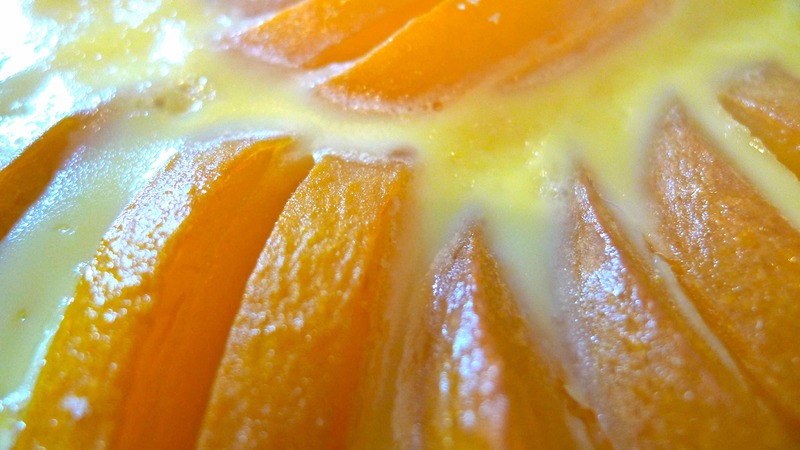 For the last hour our house has been filled with such a familiar sweet smell. So many childhood memories have been rushing into my head. 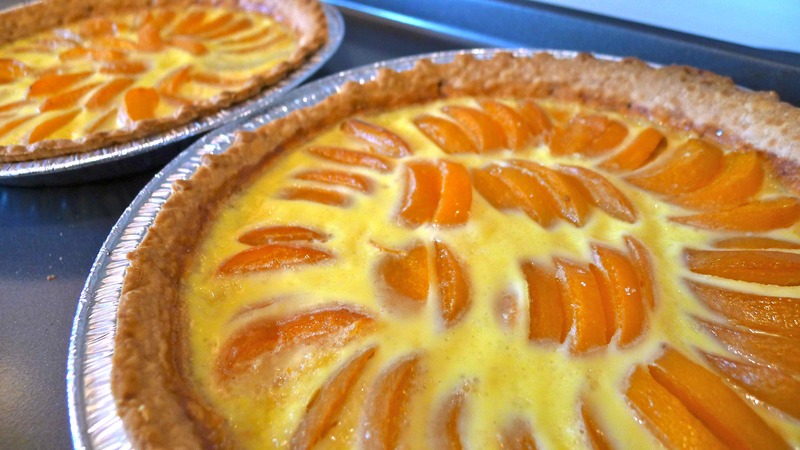 I just took the pies out of the oven and couldn’t resist having a couple of pieces. Oh god they are so good. Almost as good as my dad’s and for sure amazing for my first try. Here are a few pictures of my day’s work.